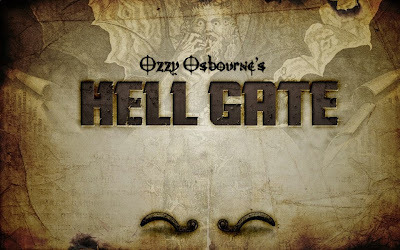 Visit the Hell Gate Facebook page here. One possible scenario is that Ozzy has reteamed with Universal Studios Hollywood for their annual Halloween Horror Nights event. Last year, Ozzy and Black Sabbath were featured in an all-original 3D maze, “Black Sabbath: 13 3D”. The maze, based on the darkest lyrics from Black Sabbath’s biggest hit songs and the only attraction at the horror event to incorporate 3D video, also included scenes inspired by the band’s latest album, “13”. We’ll await further details from Ozzy on the status of “Hell Gate” moving forward. Osbourne will release two career-spanning “Memoirs Of A Madman” collections on October 7th. The "Memoirs Of A Madman" CD features 17 of Ozzy's greatest hit singles compiled in one place for the first time, and will be available in a single CD, 2-LP set and 2-LP picture disc set configurations. The "Memoirs Of A Madman" DVD is a definitive visual two-disc DVD set which includes classic music videos, along with unreleased and out-of-print live performances, plus interviews from his solo career.